UNCASVILLE, CT (December 4, 2017) – Dane Cook, one of the most prolific stand-up comedians of the last decade-plus, is set for a Mohegan Sun Arena performance on Saturday, April 21st at 8:00pm, presented by COMIX Mohegan Sun. Tickets are $59.00, $39.00 and $19.00 and go on sale Friday, December 8th at 10:00am through Ticketmaster. Ticketmaster customers may log on to ticketmaster.com or call Ticketmaster’s national toll free Charge By Phone number 1.800.745.3000. Tickets will also be available at the Mohegan Sun Box Office beginning on Saturday, December 9th, subject to availability. 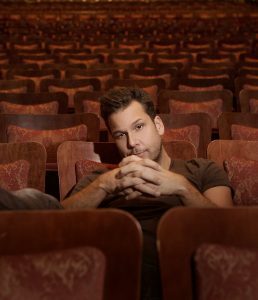 Well known for his appearances on Comedy Central and HBO specials, and for his successful comedy albums including: Harmful If Swallowed; Retaliation; Vicious Circle; Rough Around The Edges: Live From Madison Square Garden; ISolated INcident; and Dane Cook: I Did My Best -Greatest Hits, Cook combines energetic physical comedy, clever wordplay and trenchant observations about human behavior, Cook’s unique brand of stand-up and accessible guy-next-door attitude have galvanized audiences of all ages. In 2006, Retaliation became the highest charting comedy album in 28 years and went double platinum, earning him a place alongside best-selling comedy vets Bill Cosby, George Carlin, and Steve Martin. After inking a multi-faceted production deal with HBO in 2006, Cook created, directed and starred in the network’s nine-part comedy documentary series, Tourgasm and wrote, executive produced and starred in Vicious Circle, a feature-length stand-up event. In 2014, Cook reprised his role as the voice of “Dusty” in Disney’s animated film Planes: Fire & Rescue, the sequel to Planes, which grossed over $219 million and $145 million worldwide respectively. credits include starring roles in My Best Friend’s Girl, opposite Kate Hudson, Dan In Real Life, opposite Steve Carell and Mr. Brooks, opposite Kevin Costner, among others. Cook currently lives in Los Angeles, where he continues to develop new comedy material, and film and television projects.